We can get range parts in North Hollywood CA through numerous sources, and both commercial range parts and stove parts are within reach. If we cannot get the parts you need for your stove repair in North Hollywood CA, we will let you know and then see what it would cost to get it mailed in to North Hollywood CA if you wish to go that route. Lastly, after the repair is done you must pay us back for the range parts that were bought and then cover our range repair specialists’ labor rate as well. 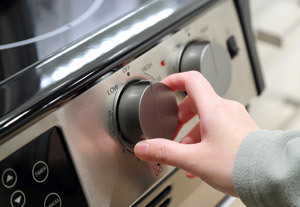 Reach out to begin your stove repair in North Hollywood CA with a certified stove repair technician you know won’t let you down; with no hidden charges or overpriced stove parts waiting to be thrown onto your bill, it’s a mess-free situation all-around. 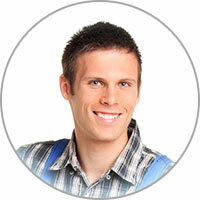 Further, don’t forget about our wicked $10-off coupon dedicated to our new stove repair clients. Ever wonder the proper way to clean the drip pans for your electric stove burners? First, the burnt food stuck on them is easy to scrub off with a brush, cloth or scrub pad. If they are very greasy, a deep soak in hot boiling water is recommended. A deep cleaning can be done by soaking the drip pans in a solution consisting of one gallon of boiling hot water and a quarter cup of ammonia for the night. You can also clean the drip pans in your dishwasher on the ’pots and pans’ cycle.